Big Little Tent Festival™ is back! Join thousands of others across the country by camping closer to home this summer with Big Little Tent Festival. Create your own little festival complete with your favourite music, tastiest treats and all the friends and family you can find, all from the comfort of your own back garden. Spend the night telling stories and eating marshmallows under the stars. And even if it’s raining, you can always create a camp inside your house! 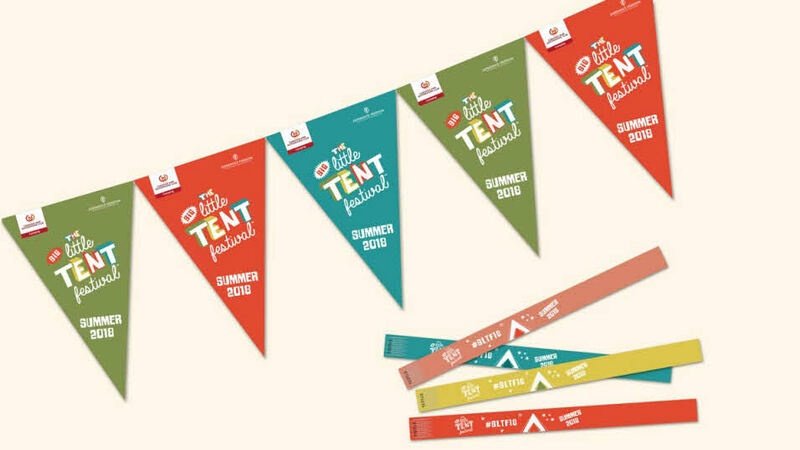 We’ll supply the bunting and wristbands in our free festival pack - all you need to do is have fun. You’ll also have the chance to be entered into our prize draw to win a weekend in a yurt, courtesy of Experience Freedom when you sign up for your free festival pack. When you register for your pack, you will have the option to enter into our prize draw, courtesy of Experience Freedom. Tweet us your pictures, share your photos on Instagram and Facebook, get involved and share the fun!